At long last! A comprehensive biography on the one and only Kay Thompson. Next to Roger Edens, Kay was probably the biggest influence on Judy’s musical and performance style, plus she was one of Judy’s few close female friends. As Liza’s godmother, she was a huge influence on her life and career as well. 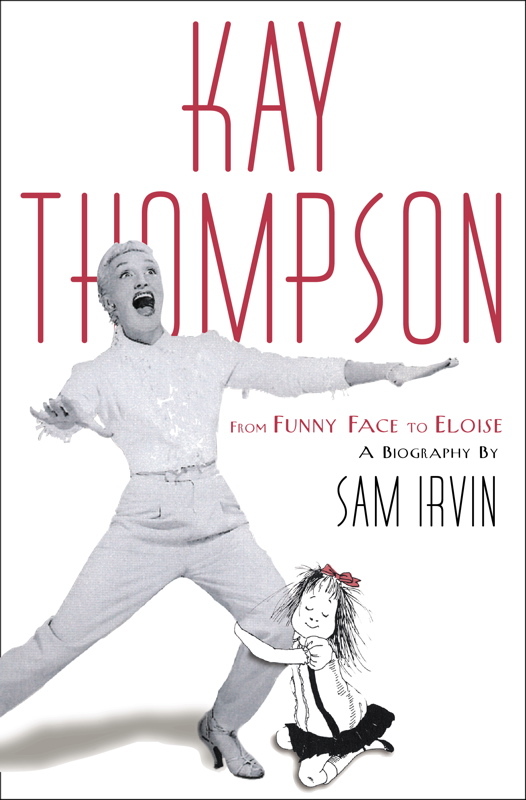 After she steered the sound of the MGM Musical for several years in the mid-to-late 1940’s, Kay left MGM to create her own acclaimed nightclub act (recently recreated by Liza), and wrote the Eloise books (said to be based in part on Liza). A true American original! Scheduled for release on November 2nd, and written by Sam Irvin, hopefully this will be the biography of Kay that we’ve all been waiting for. CLICK HERE to check out the fantastic 3-CD anthology of Kay’s recordings!